If you are visiting Stockholm on a budget and do not want to spend your money recklessly there are some things you can do besides planning a low-cost visit to the capital of Scandinavia and using the worthy Stockholm Pass tourist visitor card (which you can buy with a discount here). One of them is having some free activities to see and do. Being free does not equal to being boring. This is a list of 24 activities I’ve done during my many trips to Sweden’s main city, Stockholm. Well, although the activities are for free it’s unlikely that you will not spend some money on food that you’d like to taste or some presents. The good thing is you need not pay an admission ticket anywhere on this list. 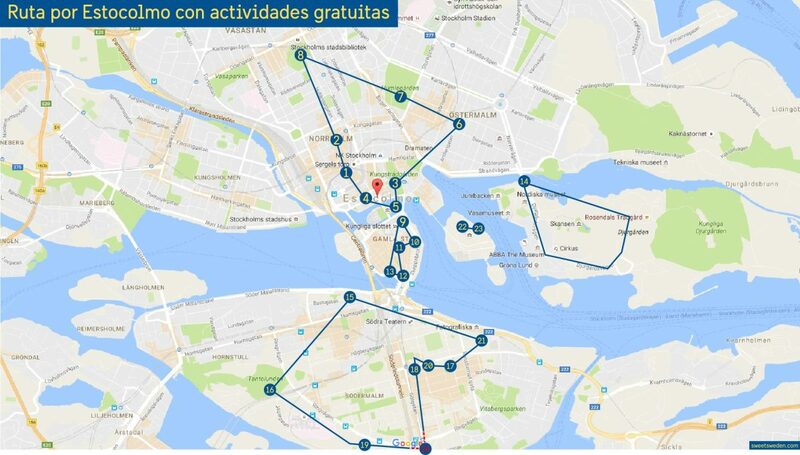 I have made the list of free things to do and see in Stockholm having into account the different islands which Stockholm is made of so you can prepare your visits in a more convenient way and combine this sights with other paid places, museums and attractions which are a must-see in the city. 1) visit Kulturhuset, The Culture House, (one of the 10 most visited attractions in Sweden) featuring a six-stage building with art galleries, theater, library and much more. 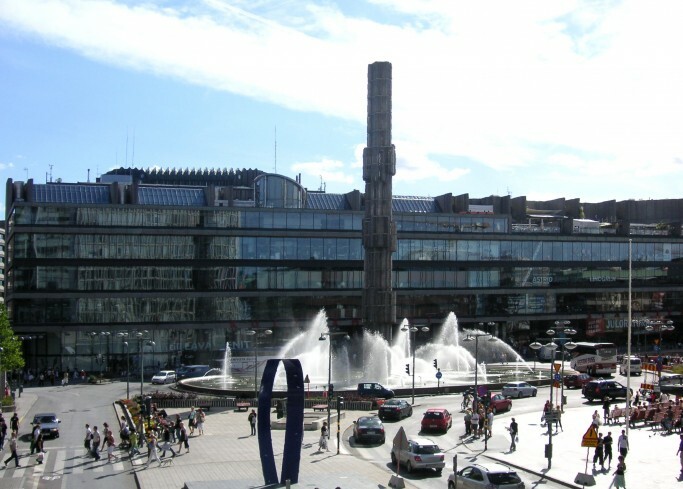 It is located at a centrical spot by Sergels torg Square. 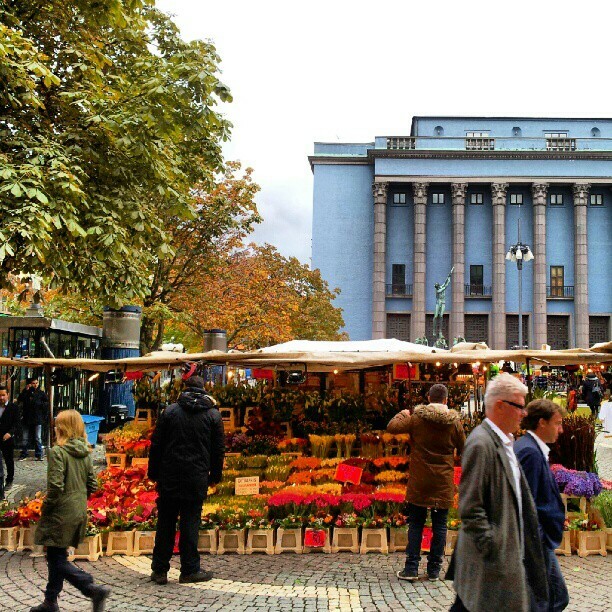 2) go for a walk around the daily open-air market at Hötorget Square. You’ll see a lot of stands selling fruits (a lot of Swedish berries, taste the boreal cloudberry if you are in for something different), mushrooms, flowers and many things more. 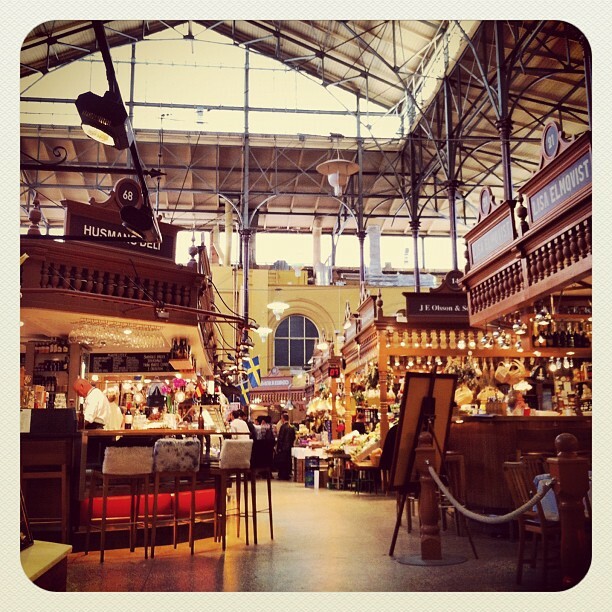 Go to Hötorgshallen market’s floor -1 to check out Swedish gastronomy and typical products. 3) in August take your time to enjoy Kulturfestivalen in Kungsträdgården featuring more than 500 events (most of them free); during the winter you can ice-skate for free at the same spot if you bring your own skates. 4) visit the Museum of Dance, Dansmuseet* at the centrical Drottninggatan Street. 5) visit the Middle Age Museum Medeltidsmuseet on the Helgeandsholmen islet (where the Swedish Parliament is located and dividing Gamla Stan and Norrmalm neighborhoods). 6) visit the food market called Östermalm saluhall where I bet you will not be able to leave without having a bite of some Swedish delicatessen. Fika – having coffee or tea with some pastries or sandwiches – here may be your treat for the day. 8) visit Stockholm’s City Library – Stadsbiblioteket and take a look at its amazing book collection as well as its round architecture brought to life by Gunnar Asplund, one of Sweden’s most famous architects. 9) take a look at the Change of Guard at 12.15 PM in front of the Royal Palace in Gamla Stan, The Old Town of Stockholm. 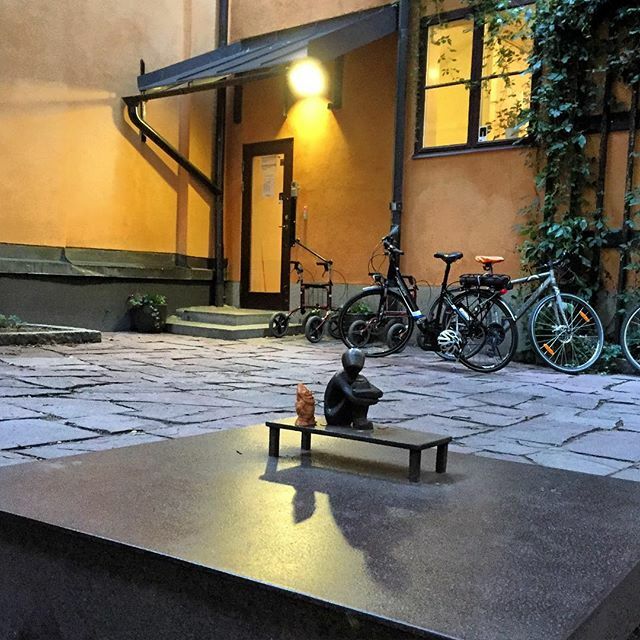 10) walk along Gamla Stan and try to find Järnpojken which is said to be Stockholm’s smallest statue. In my Guide To Visit Stockholm in 3 Days I have placed the location on a map. 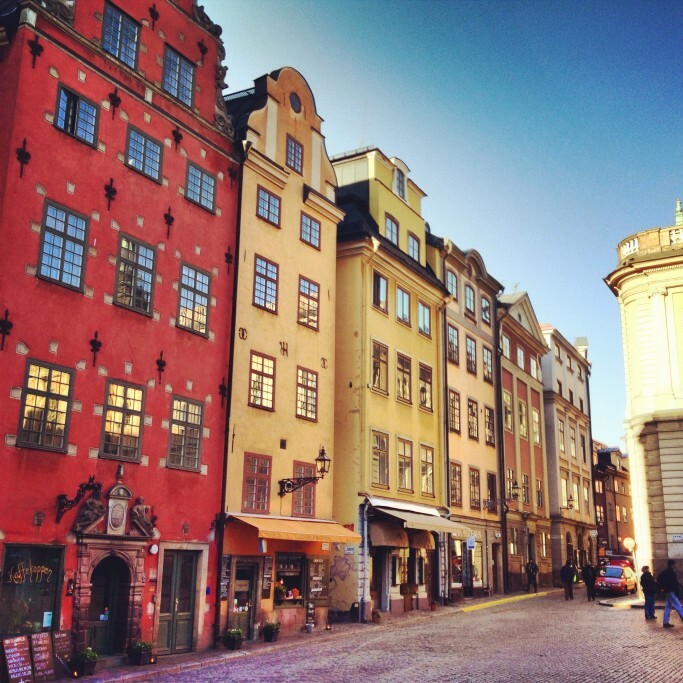 11) visit Stortorget Square at the very heart of Gamla Stan and take a selfie using an innovative angle where the symbol of the neighborhood, the colorful houses, appear better than ever. 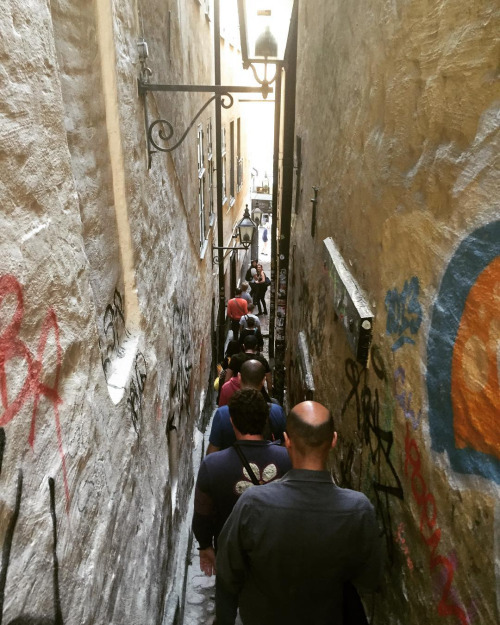 13) go for a free guided visit to Gamla Stan in English. If you like what they will explain to you (which you will) tip them a small amount of money! 14) stroll along the water from Djurgården’s Bridge until the garden of Rosendal (Rosendalsträdgård) and return walking along the opposite shore where all the museums are located. 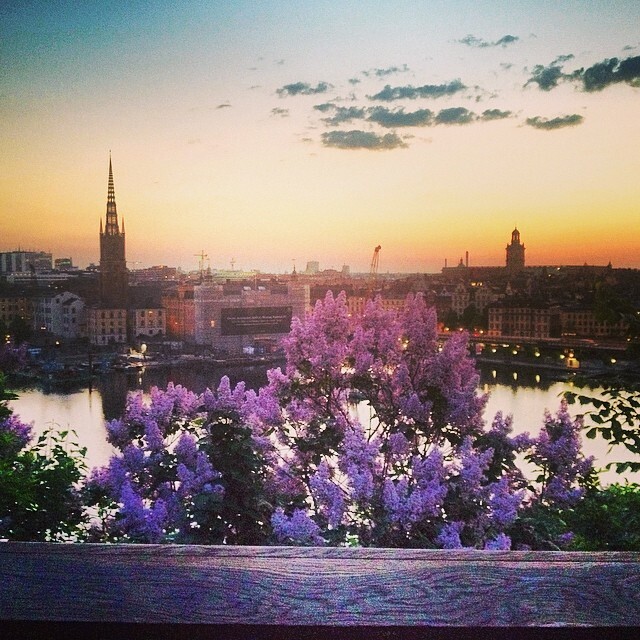 15) search for the best views of Stockholm at dawn or sunset from the lookouts at Monteliusvägen or Skinnarviksberget which happens to be Stockholm’s tallest natural place at 53 m / 173 ft height. 16) go for a walk through the gardens at Tantolunden and have a swim at Årsta bay’s sandy beach, Tantobadet. 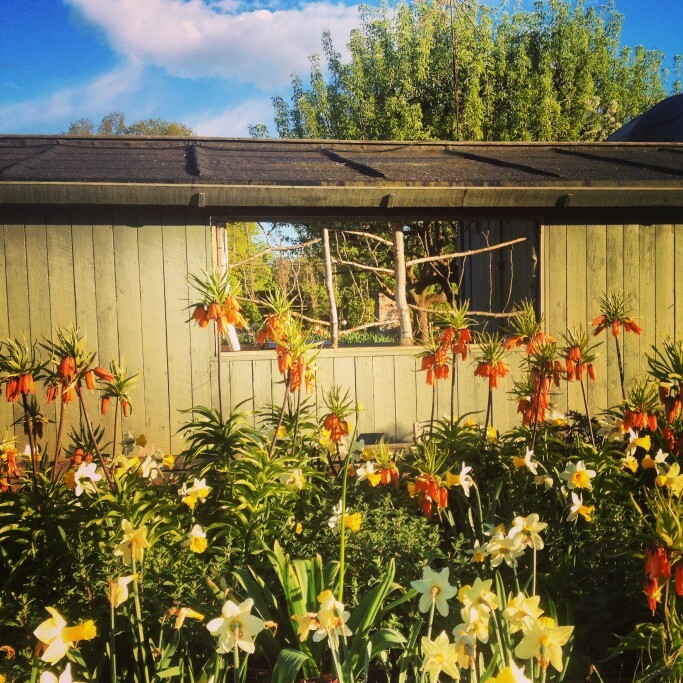 19) go back to the past in what might be Stockholm’s smallest museum (14 sqm) belonging to Erikdalslunden colony – where Greta Garbo’s family used to have a Swedish stuga / cabin – and which shows the transformation endured by the island of Söder during the past 150 years. 20) have a laugh at a stand-up comedy show in English at Big Ben (Folkungagatan) on Tuesdays, Thursdays and Sundays at night. 21) check the wooden buildings dating back to the 18th century located at Fjällgatan Street and enjoy the views of the city to the shoulders of Fotografiska, the Museum of Photography in Stockholm. 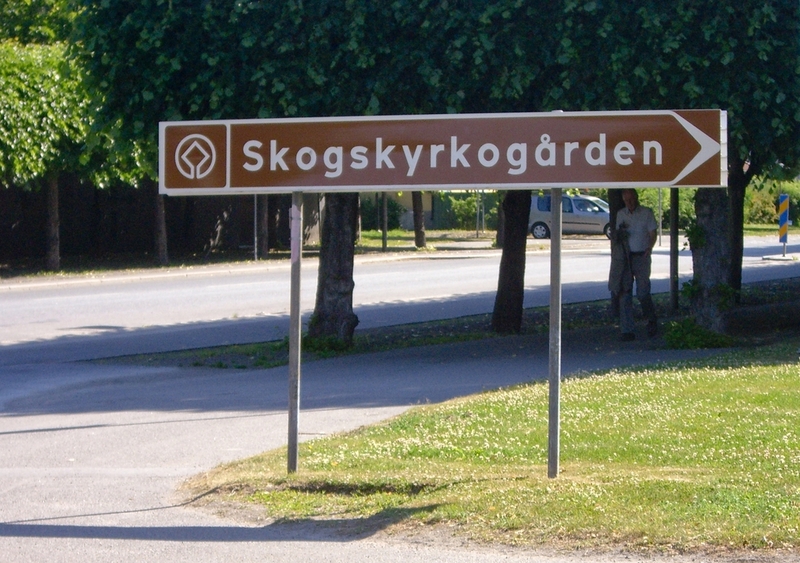 24) Skogskyrkogård: a Cemetery on the Woods* which is a featured place in UNESCO’s World Heritage List. There is an underground station next to it and travel time from T-Centralen is around 20 minutes. All these activities, sights and things to do and see for free in Stockholm are shown on the map located at the beginning of this article except for Skogskyrkogård which is located to the south and not visible. These are some activities to do on 8 of the 14 islands that make up Stockholm. But there are a lot more. 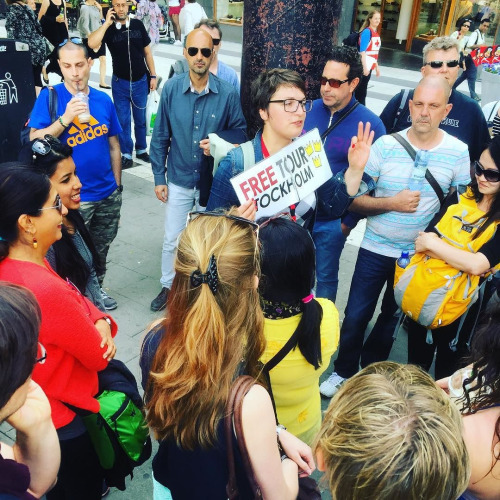 I wrote about 10 Other Free Things to Do in Stockholm*. 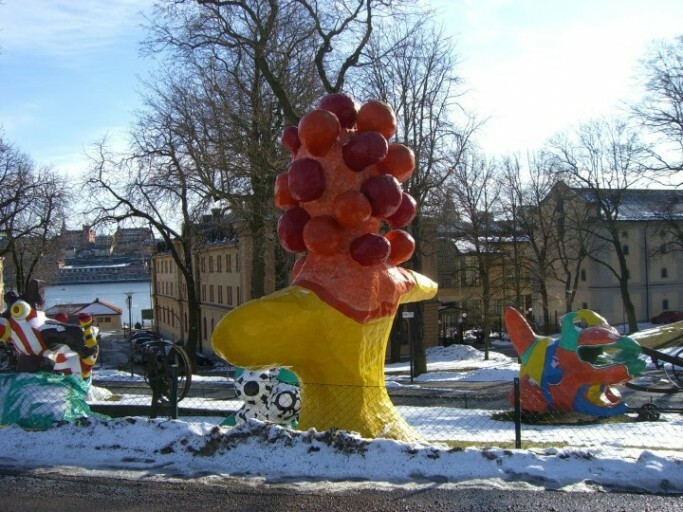 Remember that there are up to 15 Free Museums in Stockholm* that you can visit in any season. If you happen to know about other things to see and do for free leave me a comment and I will add it to the list. Should you have any questions or any doubt when planning your trip to Stockholm write me a small comment and I will answer it asap.